The Federal Aviation Administration released new rules regulating commercial drone use last week. Though many of these rules don't apply to the general drone hobbyist, they show a way forward for major companies to start using drones to increase their profits. 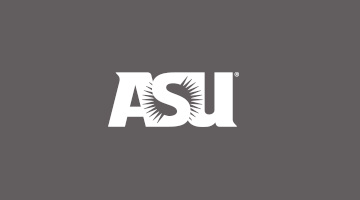 David Swindell, director of ASU's Center of Urban Innovation and a professor in the School of Public Affairs, has been studying public policy for years, and talks about what this could mean for the future of our skies. Question: What are the new rules the FAA put out? Does this mean anything for hobby users? The industry isn’t happy about that last one, which is the most limiting rule, but it’s temporary. New regulations will probably be released early next year to phase in autonomous flight. Q: What are your predictions on how this will affect the commercial drone economy? A: This is not the opening up of city airspace that many have been worried about, mainly because of the line-of-sight requirement. As that limitation is eased in the next year, that is when you will see many more commercial drones taking to the skies. This will be particularly pronounced in cities where there are more businesses and customers. So this is really only another interim step and is not the panacea for the commercial drone economy … yet. Q: Is there any role for local governments to play here? A: Yes, another aspect of this is the role of state and local governments now that the FAA has come out claiming jurisdiction over airspace all the way to the ground. This is not consistent with previous court cases and will need to be resolved because state and local governments are responsible for law enforcement, which is a major player in the drone-usage policy area but are not included in the FAA regulations. So there are jurisdictional issues still to resolve.